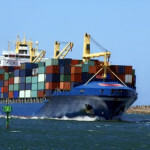 Boat export to Europe is growing in popularity. As the prices of yachts and boats are reduced, there is an increasing need for exporting boats to a new country to be near a holiday or vacation property. As an exporter of boats, we can offer our clients reasonable deals to export your newly purchased yacht or boat to the location of your desire. We can provide specialized services for those in the market for a yacht or boat in Europe. Some clients come to exporters knowing exactly what they desire in a marine vessel. 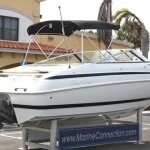 The dimensions, options, accessories and price are expressed to the boat exporter. In turn, the exporter will find exactly what the client desires at the price expressed. The exporter will ensure that the boat in shipped to international ports or airports around the globe without a problem. Some boats may be shipped tax-free. Tax-free exports are preferable and are a way for clients to save money. Many clients are taking advantage of these historically low rates. As clients buy vacation or holiday homes in Europe, boats must often accompany the holiday home. For instance, exclusive clients with homes near St. Tropez or other popular Mediterranean locations often arrive to their homes by boat. This is essential for privacy and also the “exclusivity” factor. 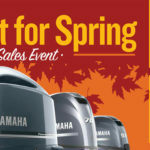 Clients considering purchasing a boat should do so while the prices are still in his or her favor. Before purchasing your boat or yacht, contact an export company for a quote on the services. Our company will provide affordable rates for boat exports, and we are more than happy to accommodate your needs. European customers more often than not pay more for luxury boats than American buyers. Consider purchasing your next boat or yacht in America and exporting your purchase to your country of choice. Boat export to Europe could not be easier. The process has been simplified to accommodate the needs of the foreign buyer. 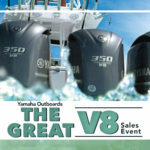 Peruse the website to find the boat of your dreams. Once you have located the boat of your dreams, simply notify your boat exporter and he or she will take care of the rest. Many clients consider boats as a part of their retirement package. With the low costs, boat ownership may be realized before retirement age. Many Europeans often pay as much as 80% more than American buyers according to some exporters. Most often the price is between 10% and 20% higher. Europeans benefit greatly from purchasing abroad rather than making purchases in their home countries. Currently, there are few downsides to boat export to Europe. If you are physically in the area to view the boat personally, then you will actually not lose in the process. However, exporters are knowledgeable and may also be entrusted with finding the proper boat for the client. New purchases are often easier than used purchases as they do not require as much inspection as a used purchase might require. Boat export to Europe is the wave of the future. 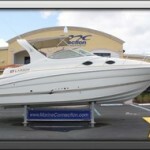 Consider making your next boat purchase using a boat exporter. 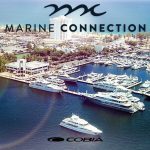 Contact Marine Connection for easy and affordable boat export today!